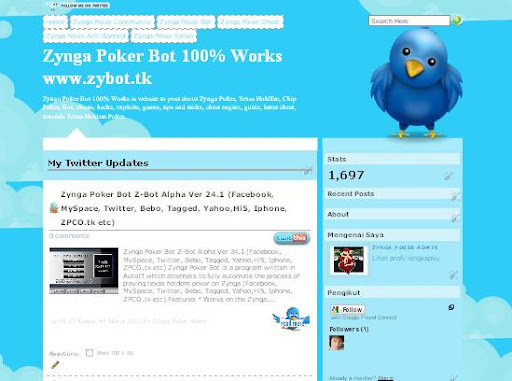 Today we get a request from Zynga http://zynga.com to shut down our website because we have harmed Zynga website because we have a lot to find new bugs that can be used by players to cheat, especially Zynga Zynga Game Poker. 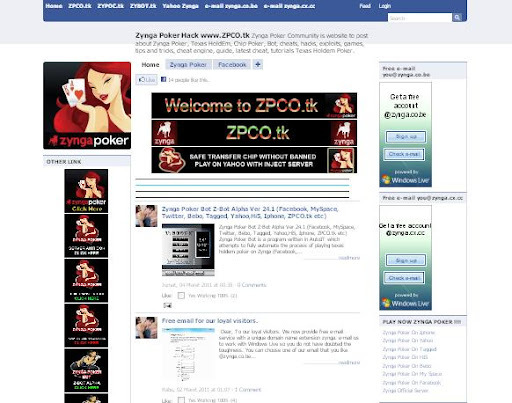 To this day continue to make efforts for Zynga our website is closed. Will not surrender and fear of adverse Zynga has many consumers with a ban consumers to continue and continue to buy chips from Zynga Poker. Too many lies that have been carried out in a silent conspiracy Zynga mainly silent ban the players who already have a chip that is much above 100 m. In order for the players continue to buy chips. Zynga one lie that appears now is giving the bonus 3 times that buy chips for poker chips today. 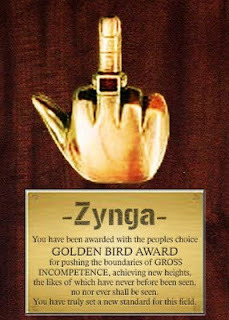 And when you buy your chips and more and more and continue to grow then Zynga will ban your account. :) very very good is not.